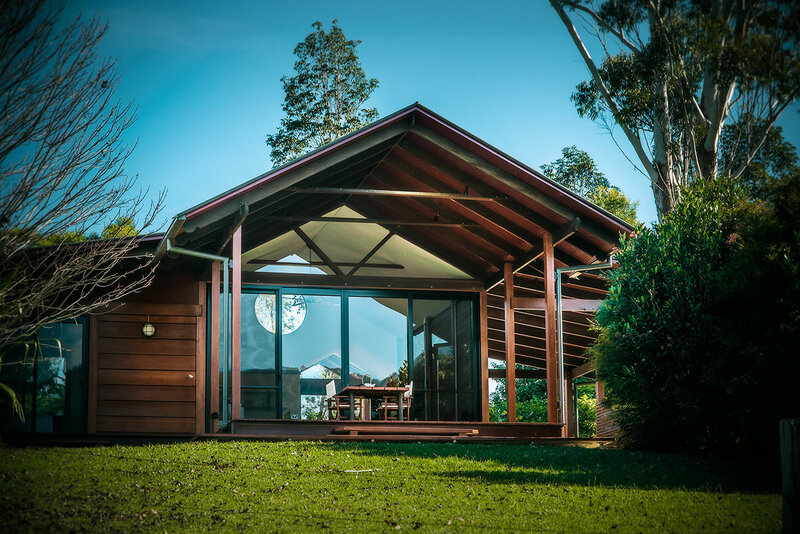 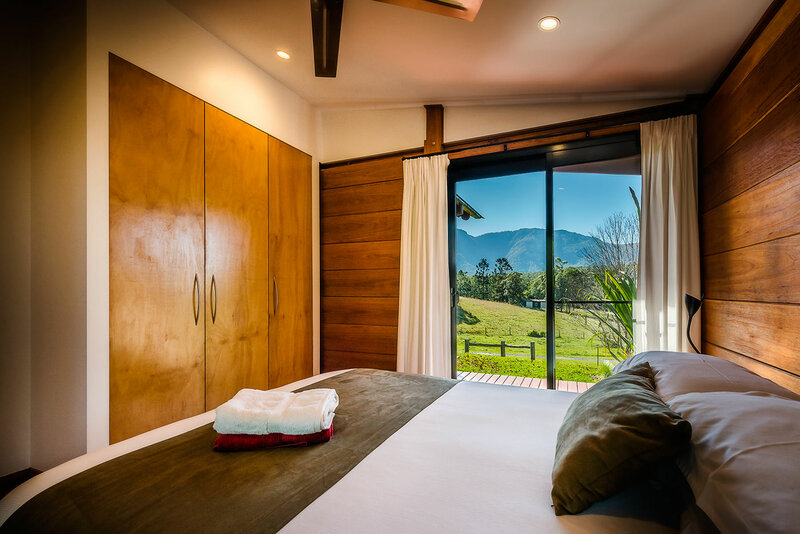 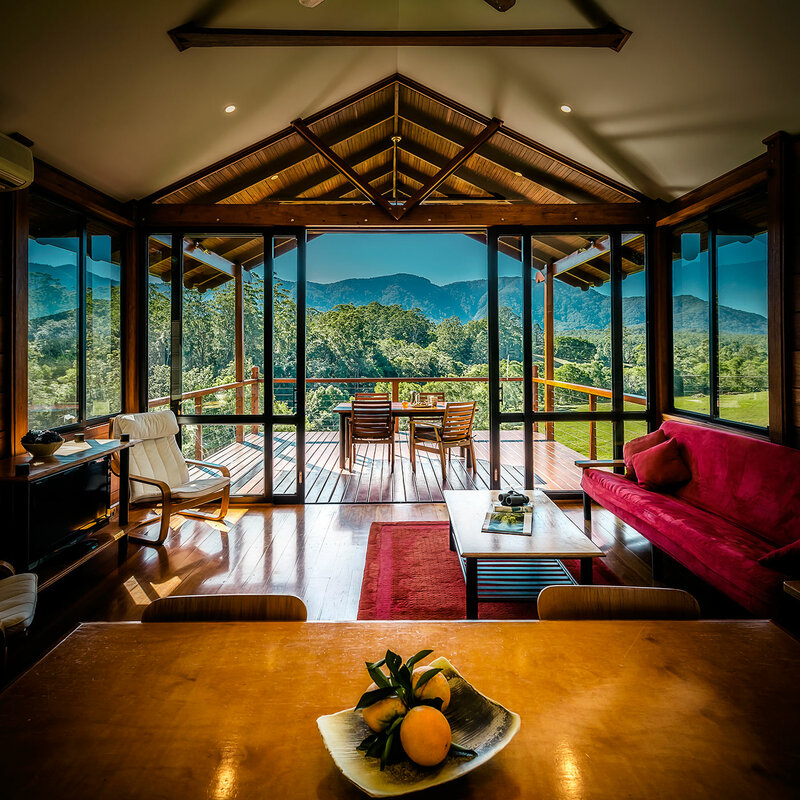 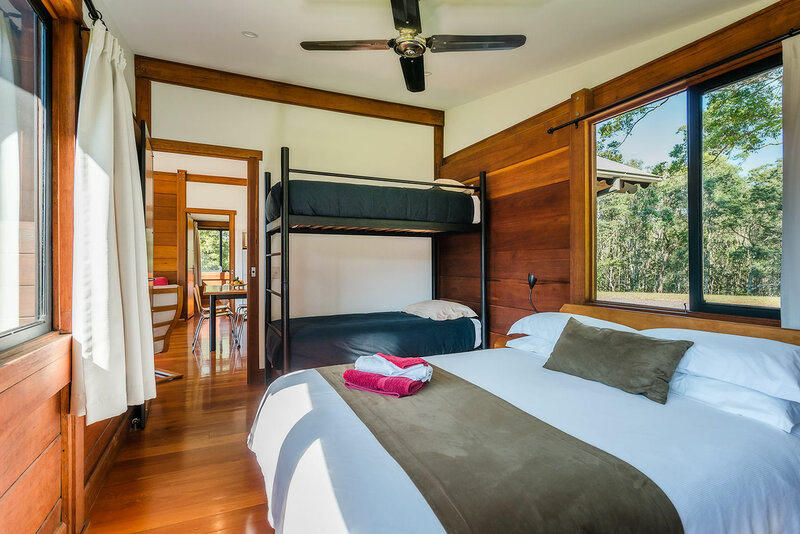 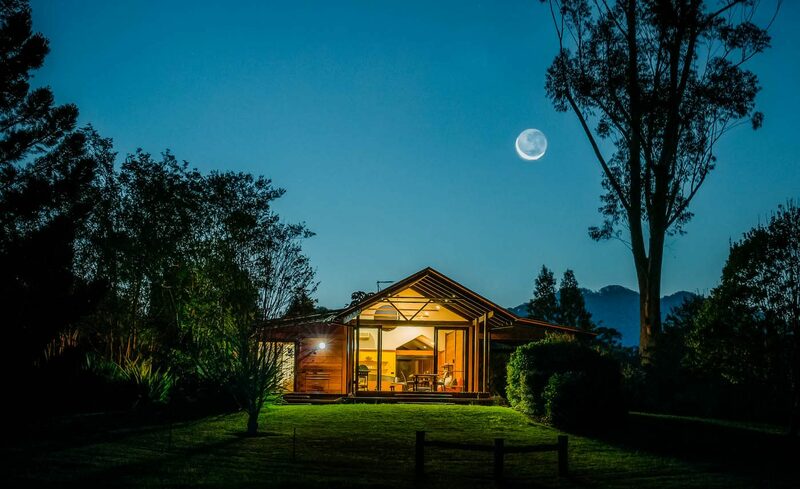 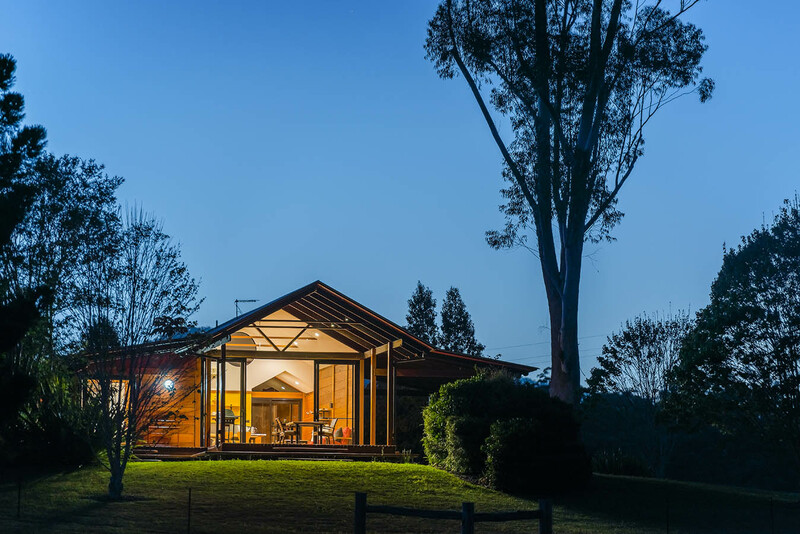 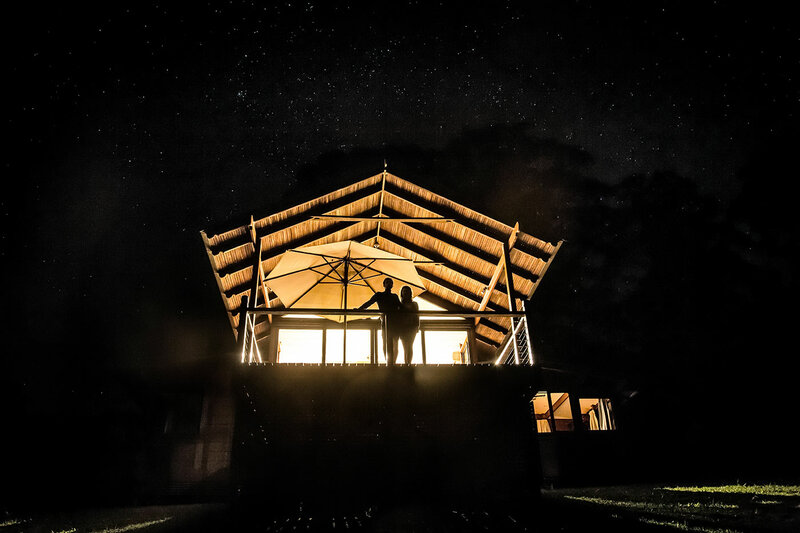 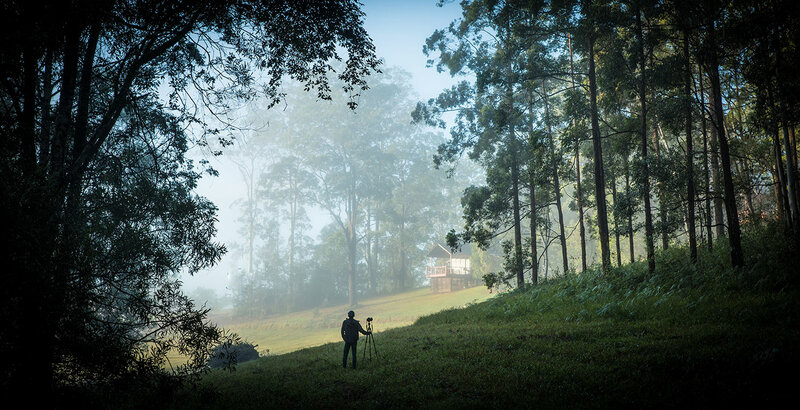 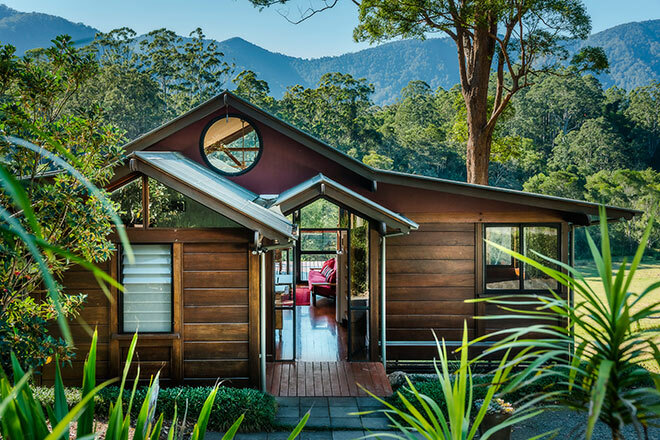 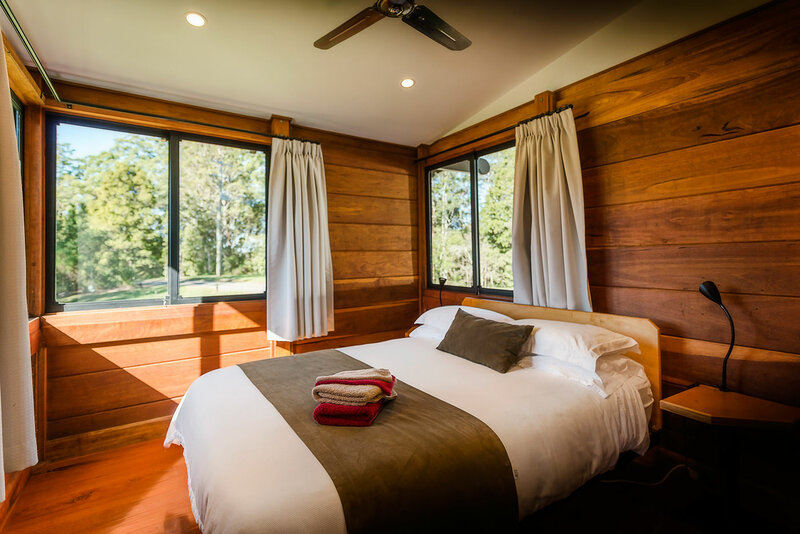 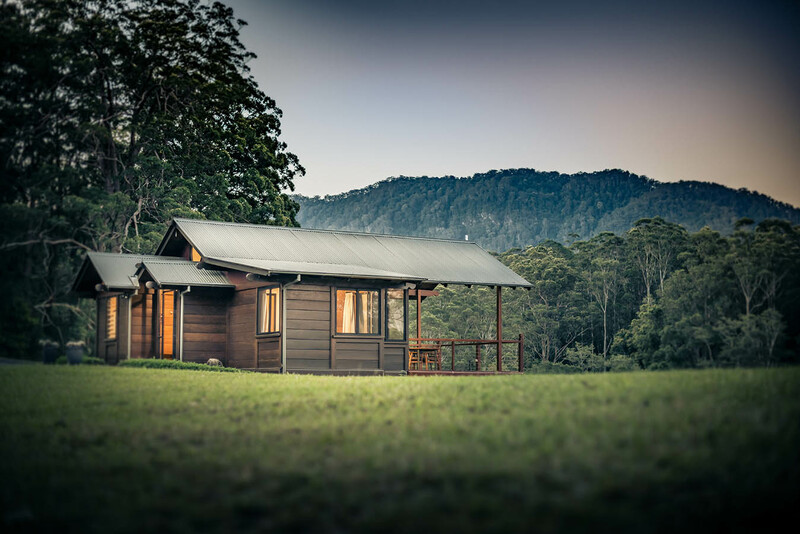 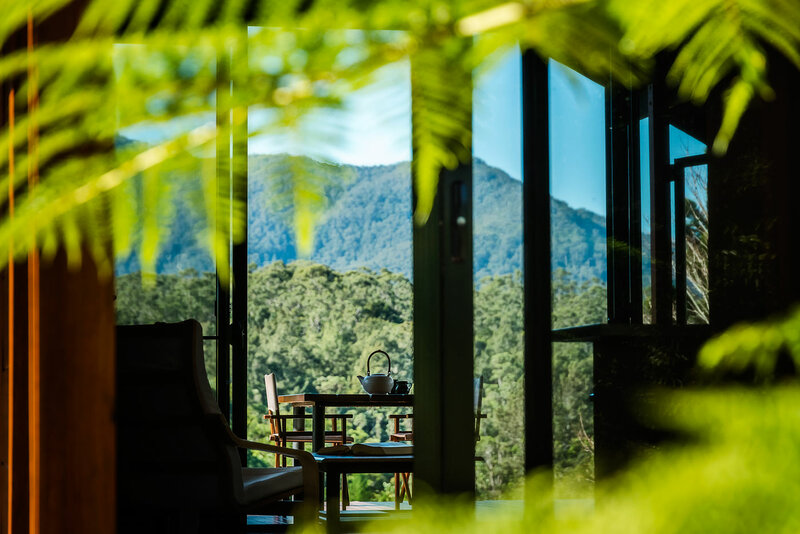 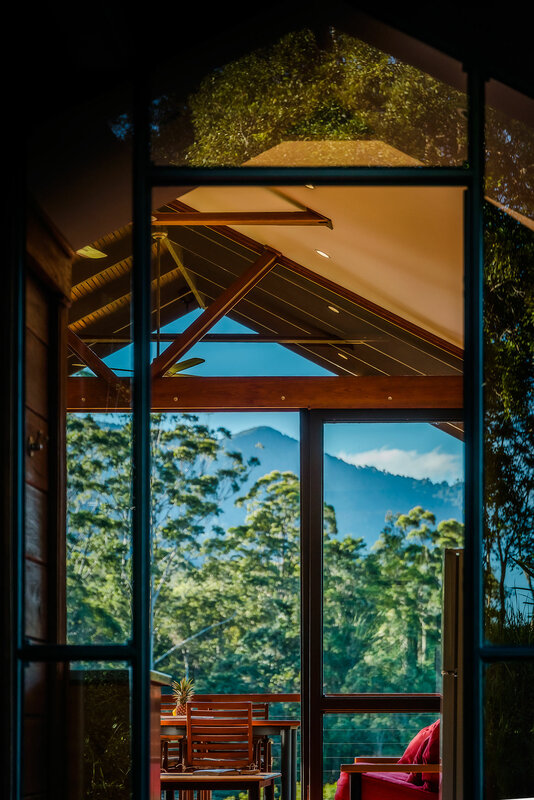 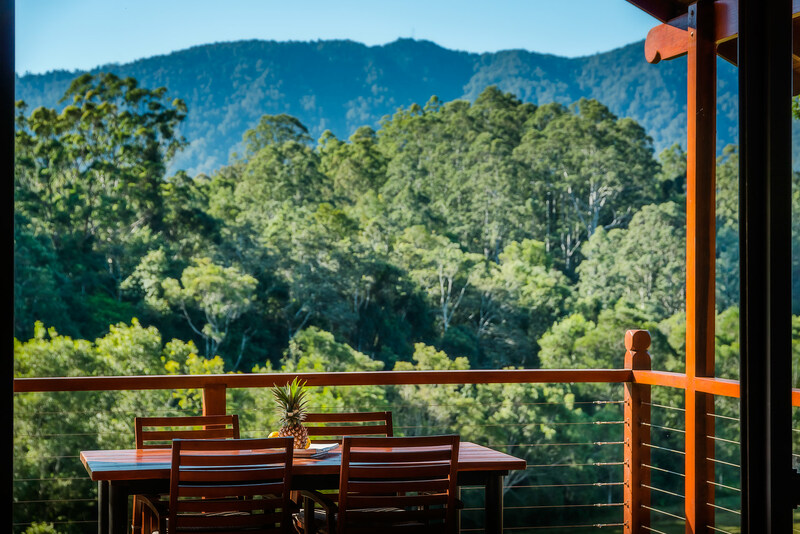 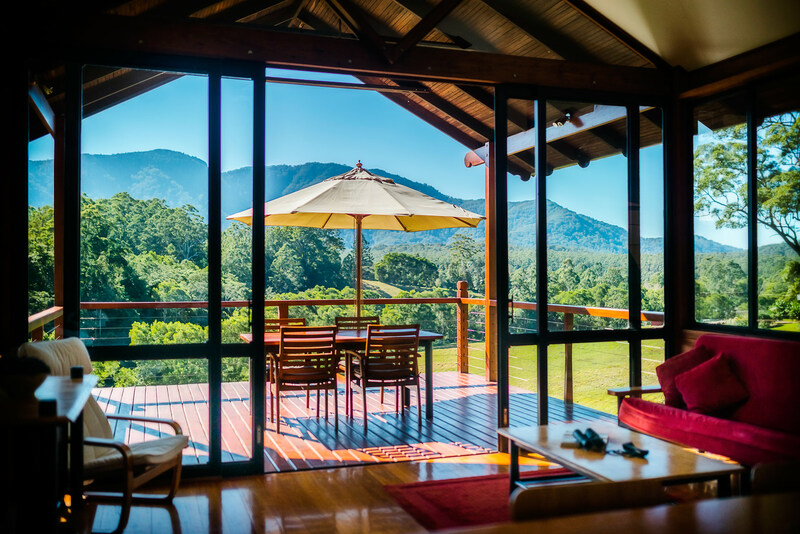 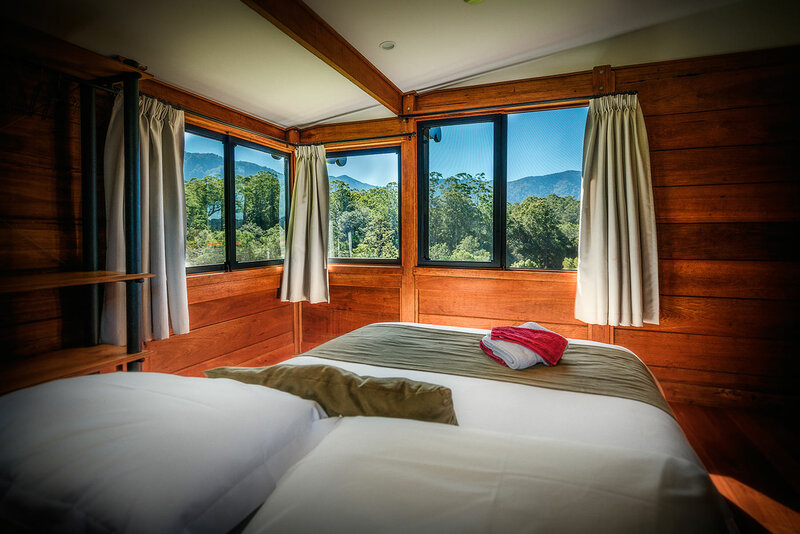 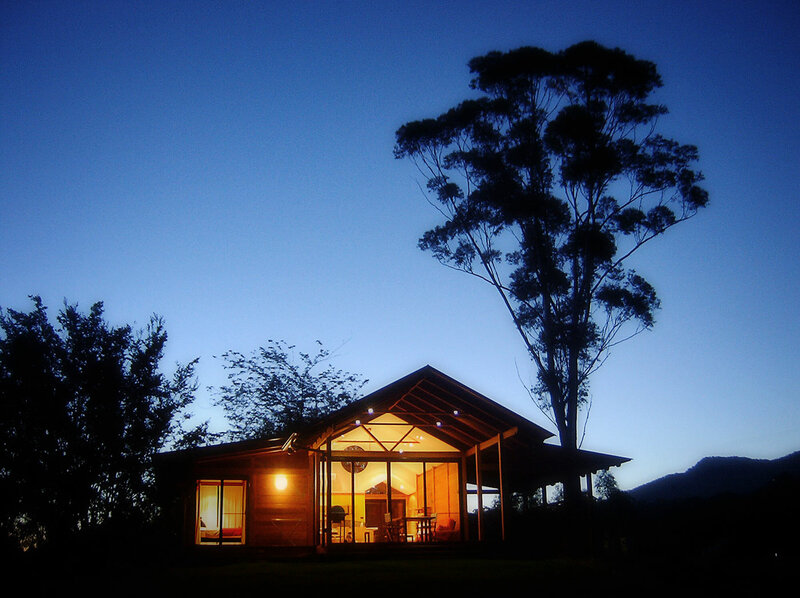 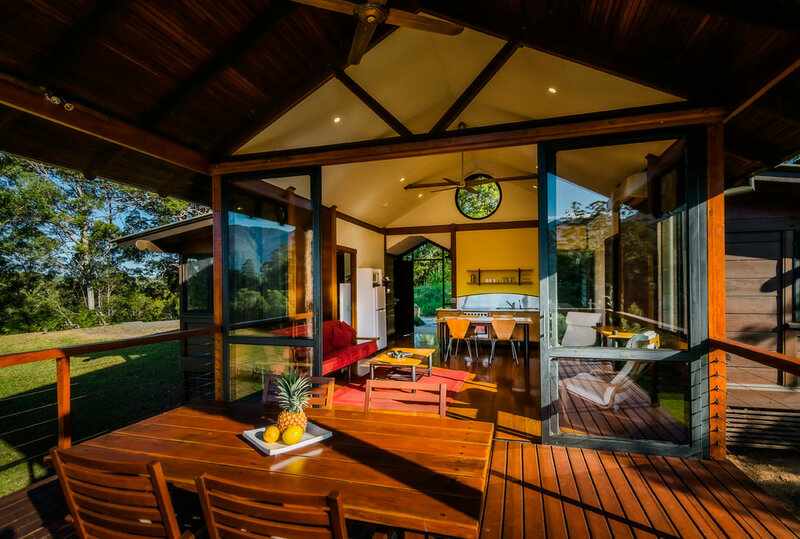 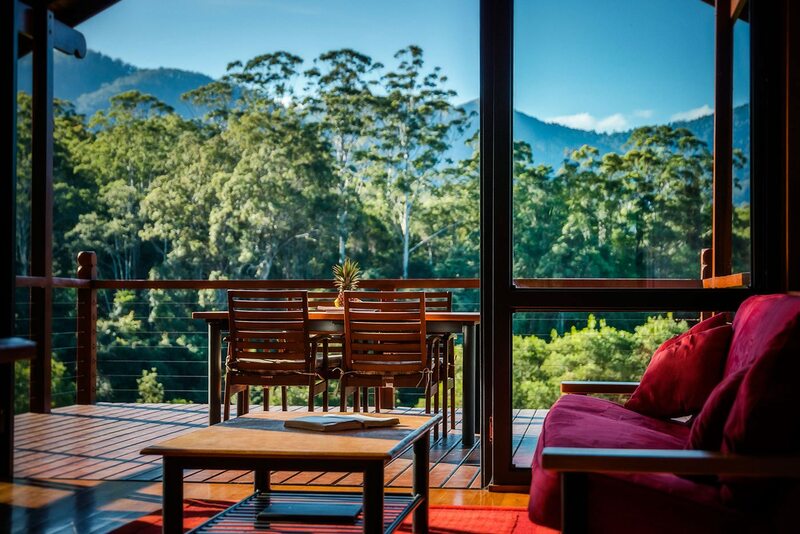 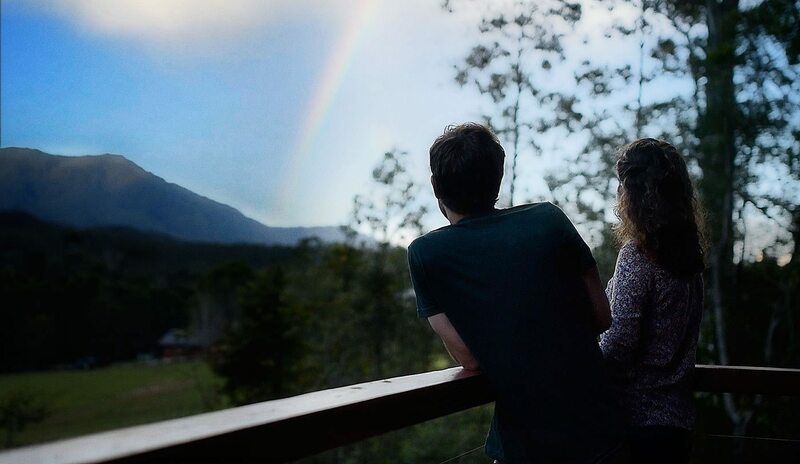 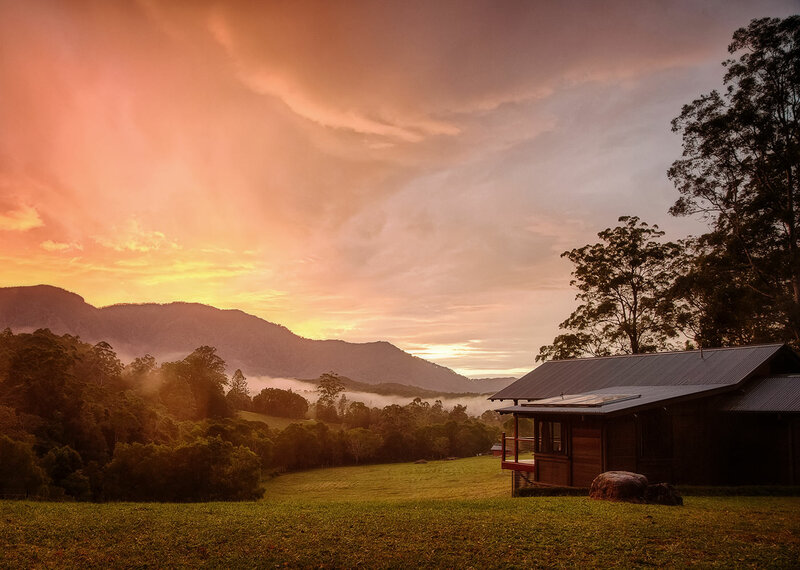 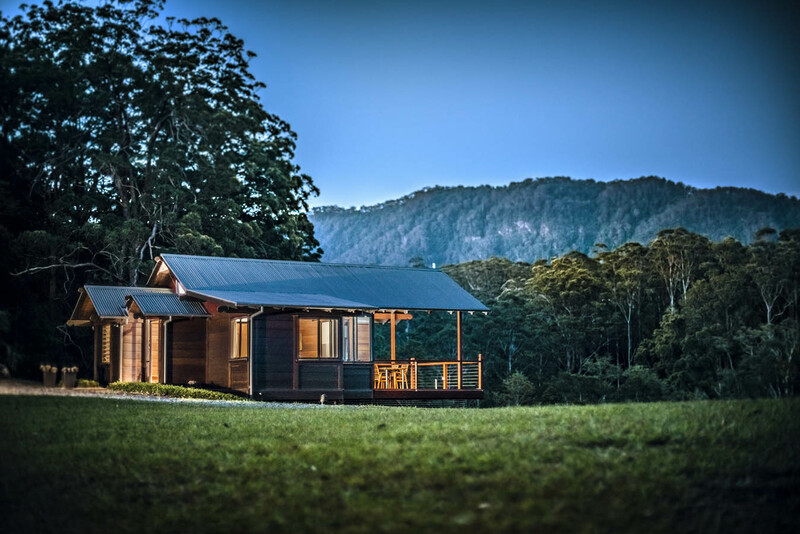 Promised Land Retreat has three separate chalets nestled amongst 100 acres with spectacular views of the Great Dividing Range. 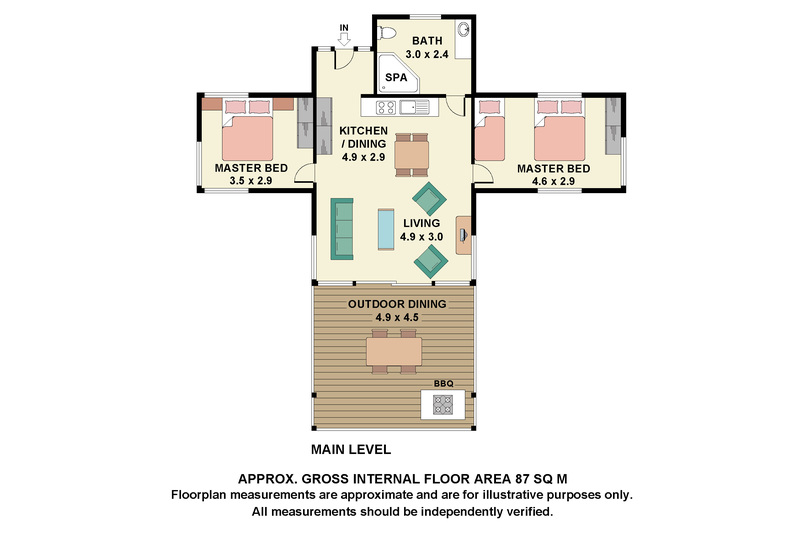 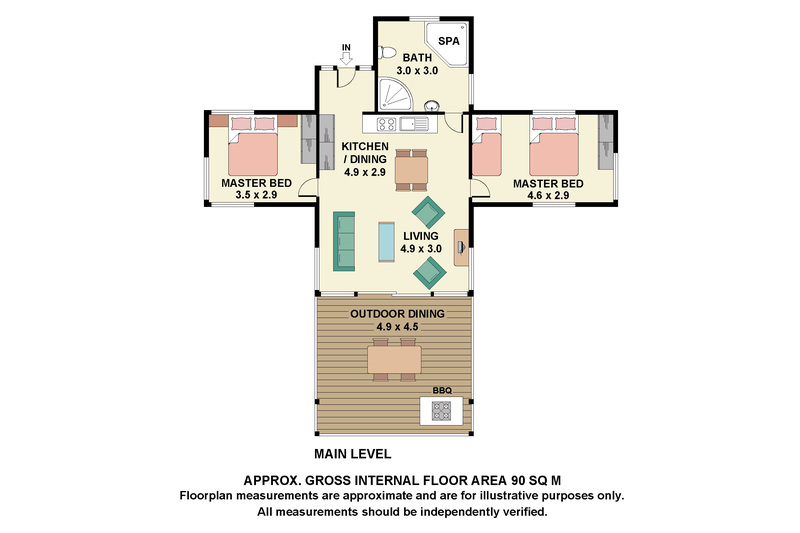 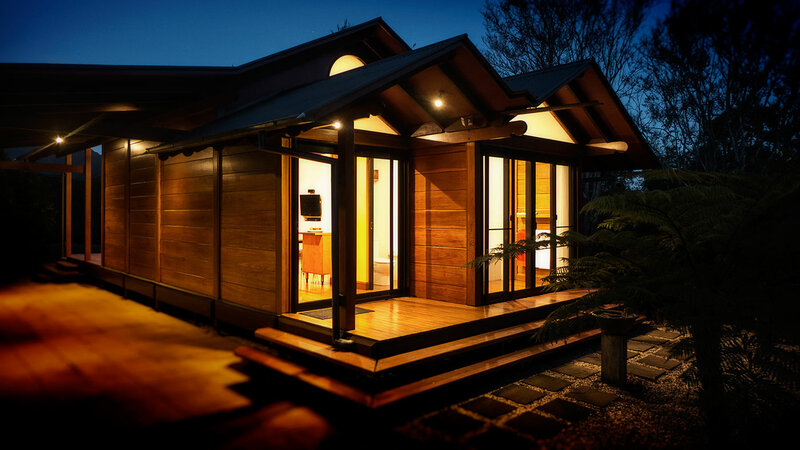 The fully equipped chalets are architect designed and show true craftsmanship with great attention to detail. 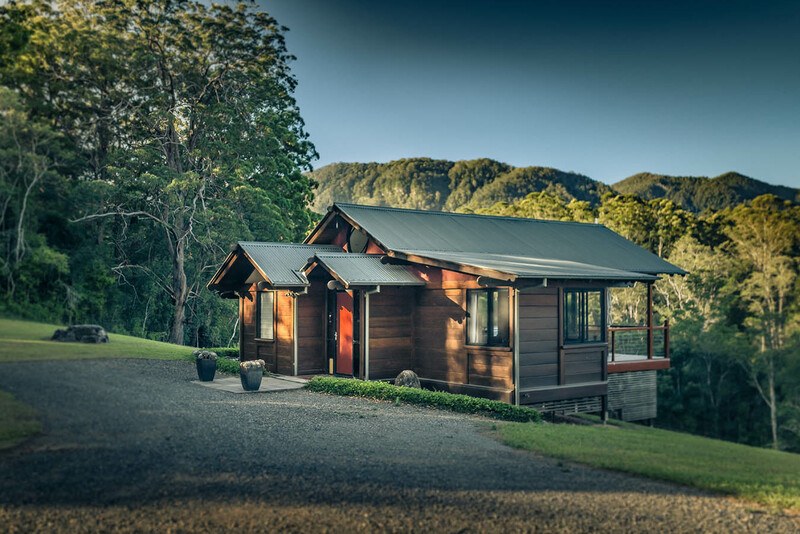 In each you'll find everything you need for a luxury self-contained holiday - modern appliances, reverse cycle air-conditioning, spa bath, sun drenched deck, and queen beds. 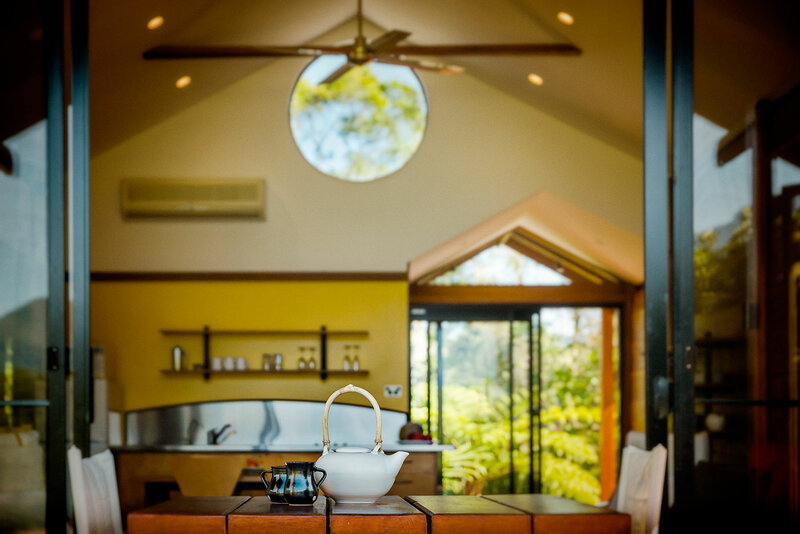 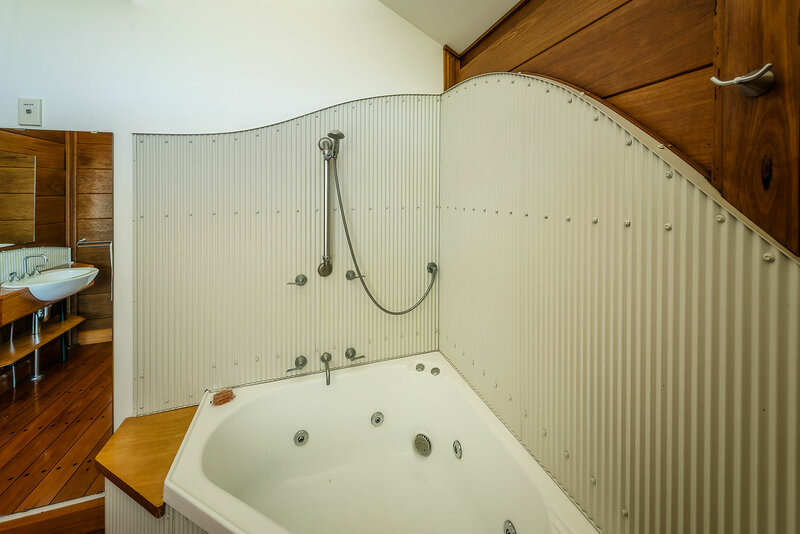 The chalets are elegantly simple. 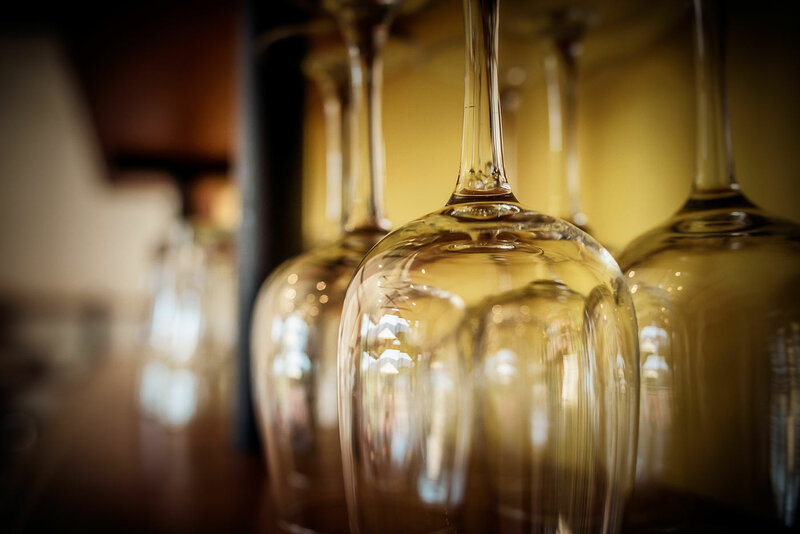 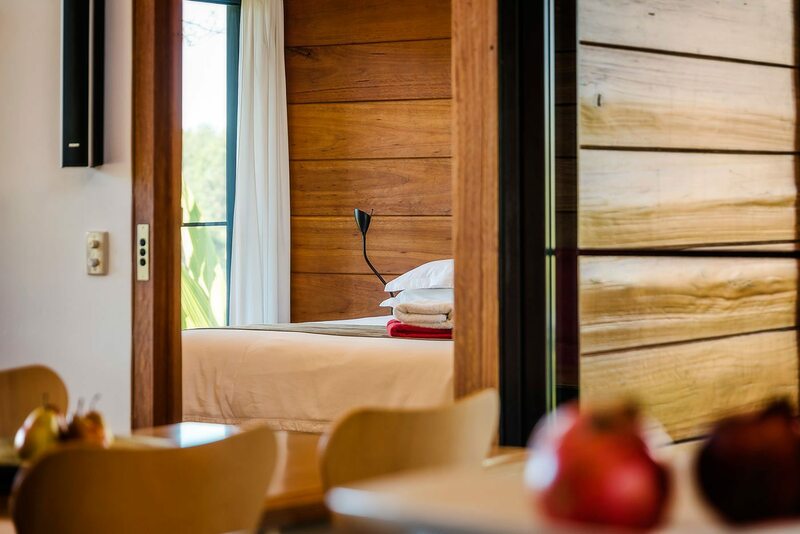 We care about quality so that your stay can be most enjoyable. 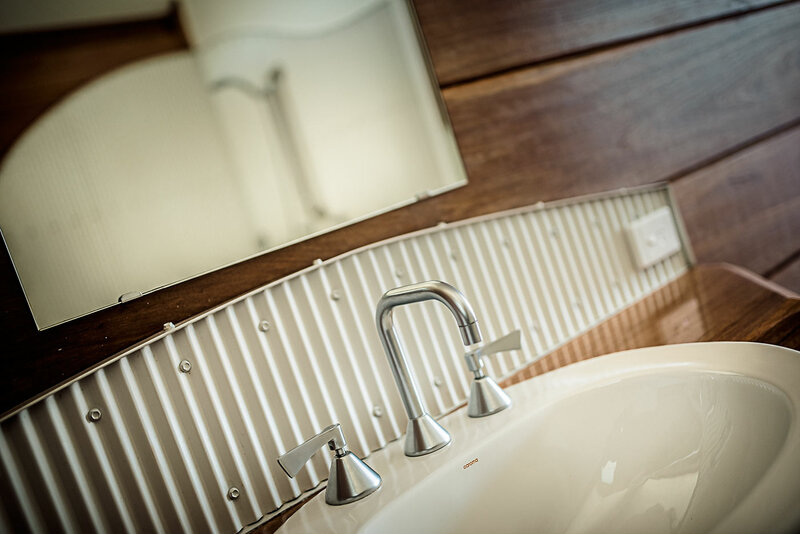 Our chalets are impeccably maintained, so you can focus your energy on being on holiday. 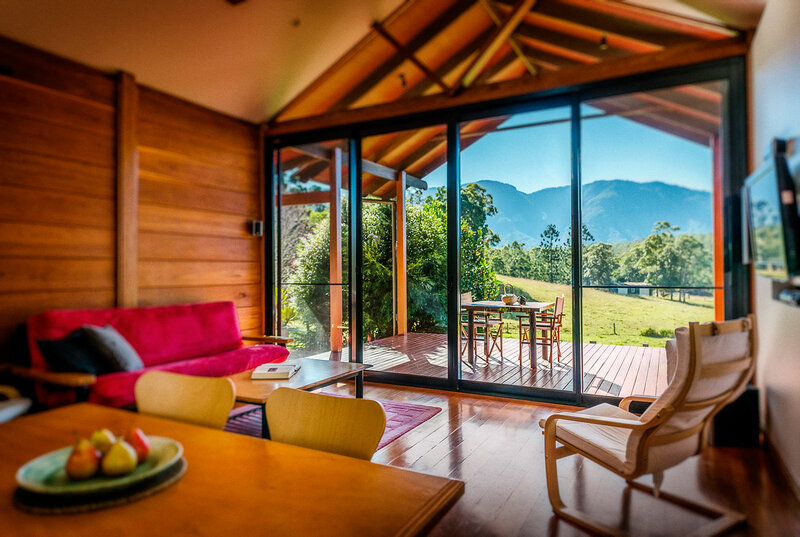 Sink in those views, play tennis or explore the surrounds. 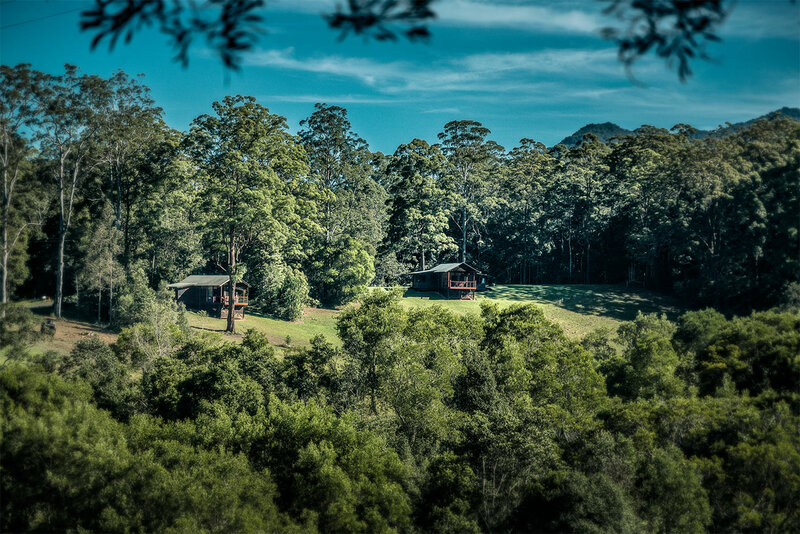 We have two 2-bedroom family chalets at the western end of the property, separated by trees and entirely private. 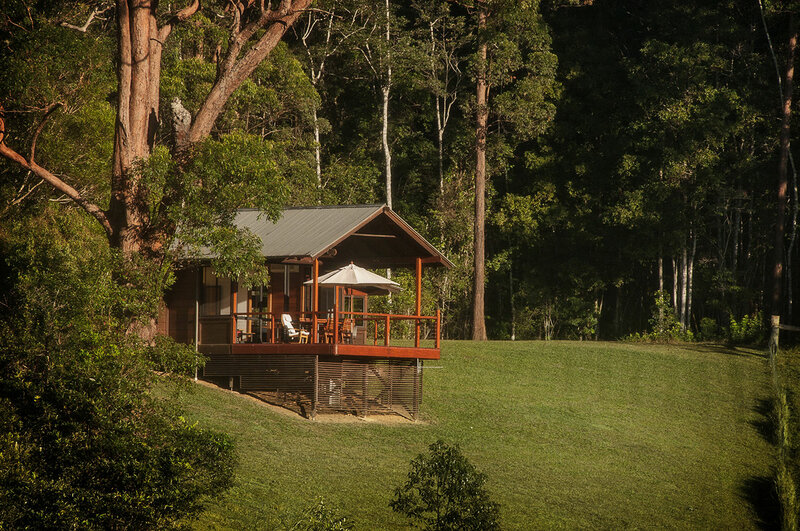 The 1-bedroom couple's chalet sits by itself on the eastern edge of the property, making it the perfect romantic retreat. 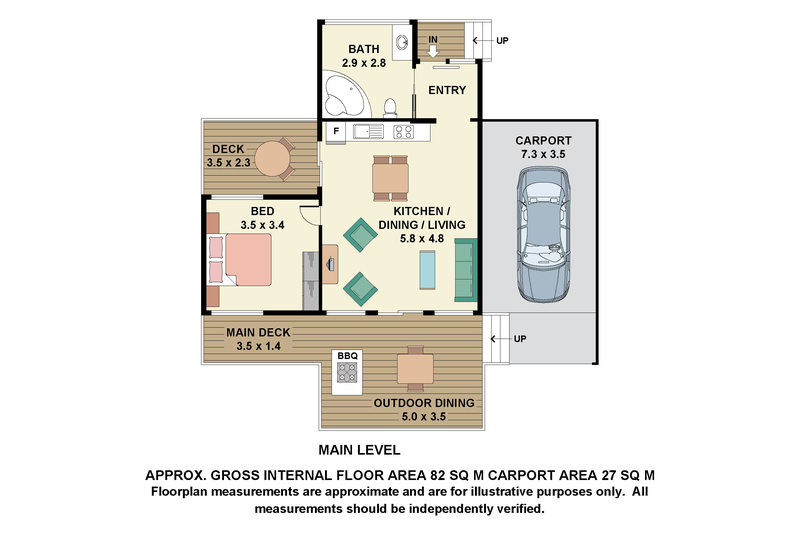 You will probably spend a lot of time on the decks. 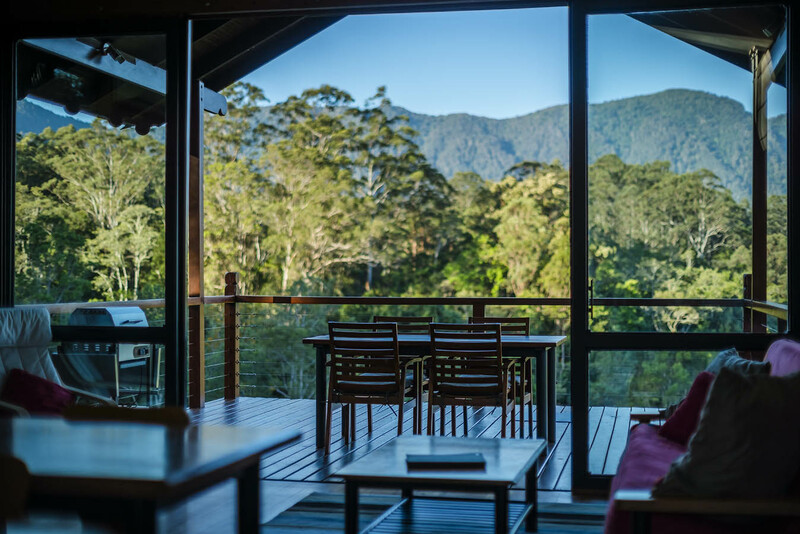 The chalets have almost 180 degree views of the rolling hills with the forested mountains beyond. 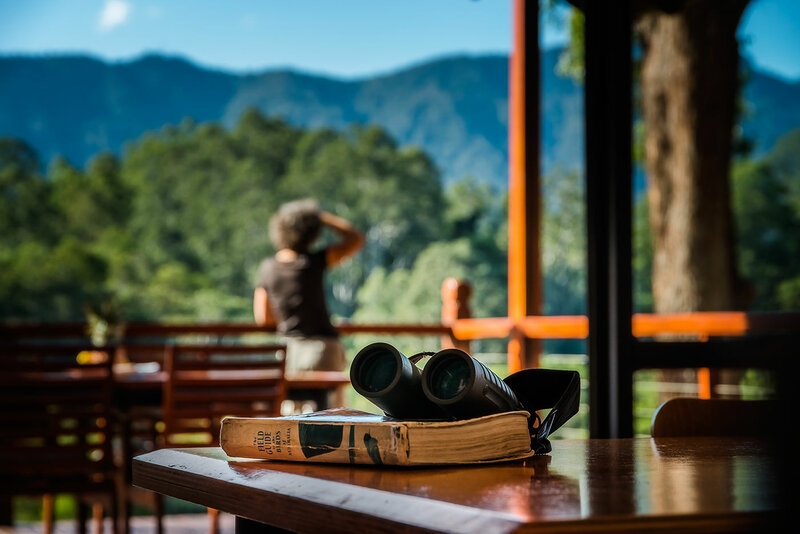 And the climate in the Promised Land means you can indulge yourself outside, even in winter with dry warm sunny days. 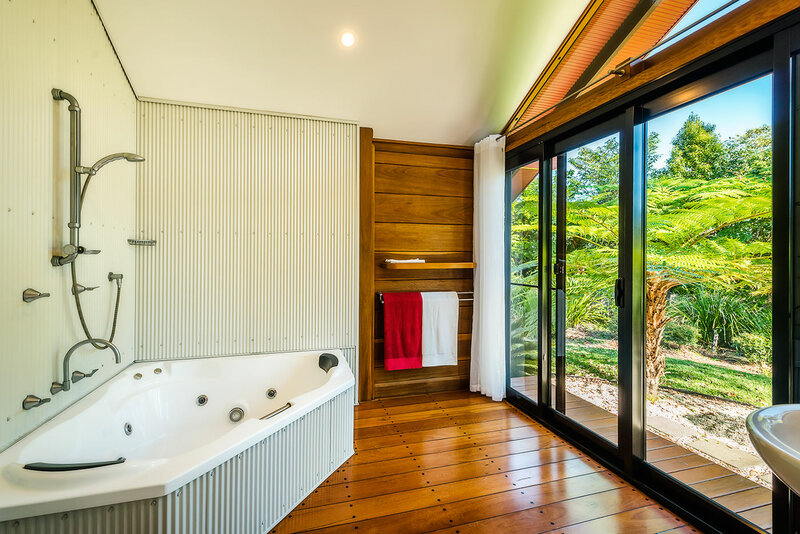 1 bathroom with spa bath and separate shower, accessible for disabled guests.